“Since I discovered feng shui back in the 80s, I was fascinated by its clear logic and power to create harmony and prosperity in our lives. Because I became so eager to spread this knowledge around the world to benefit people of different races, background, and culture, I have designed an effective training program since 1992 to help foreign students acquire the knowledge and to become high standard consultants. I am so glad to have found the very talented Jen Nicomedes [Stone] to train with me and she is able to help me achieve this goal in the USA. 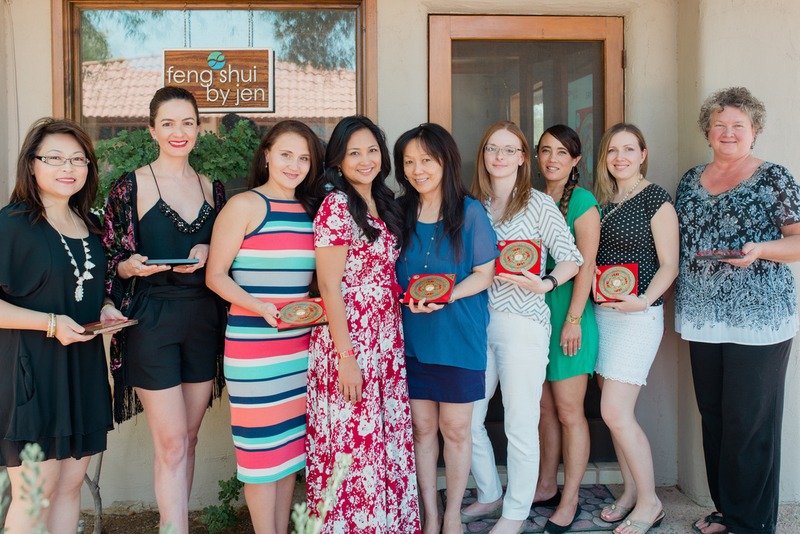 Jen is very capable of teaching the authentic knowledge of classical feng shui and conducting my program for people who are interested in understanding this knowledge to become a good standard practitioner. SEE OUR CLASS SCHEDULE UNDER EVENTS HERE. The 5-day Feng Shui Practitioners Course is designed to introduce Classical Feng Shui, the authentic practice of the Eastern tradition that originated from Ancient China. 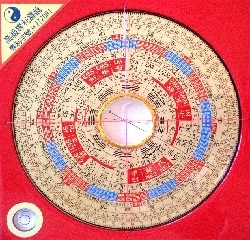 The program highlights the history and background of Forms and Compass School Feng Shui with an emphasis on Flying Star Feng Shui, one of the most widely used techniques in Classical Feng Shui. Students will be able to decipher what “true” Feng Shui is, obtain a deeper understanding of the concepts and philosophy behind the practice, differentiate between different styles of Feng Shui (Classical and Westernized “New Age” Feng Shui), perform a typical Feng Shui assessment, and analyze the environment and internal space of a property, and much more! The syllabus is faithful to the teachings of Grand Master Raymond Lo and the Raymond Lo School of Feng Shui and Destiny in Hong Kong. 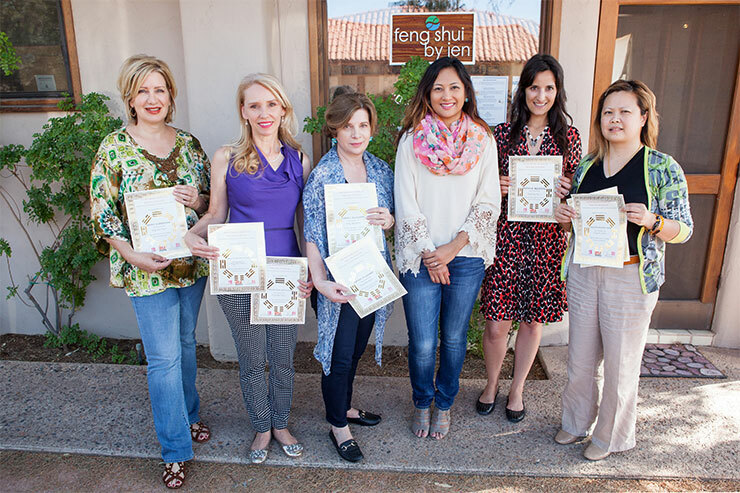 After successfully completing the program, students will receive a Certificate of Completion, signed by Jen Stone and Grand Master Raymond Lo on behalf of the Raymond Lo School of Feng Shui and Destiny (Hong Kong). The certificate is also recognized by the International Feng Shui Association (Singapore). 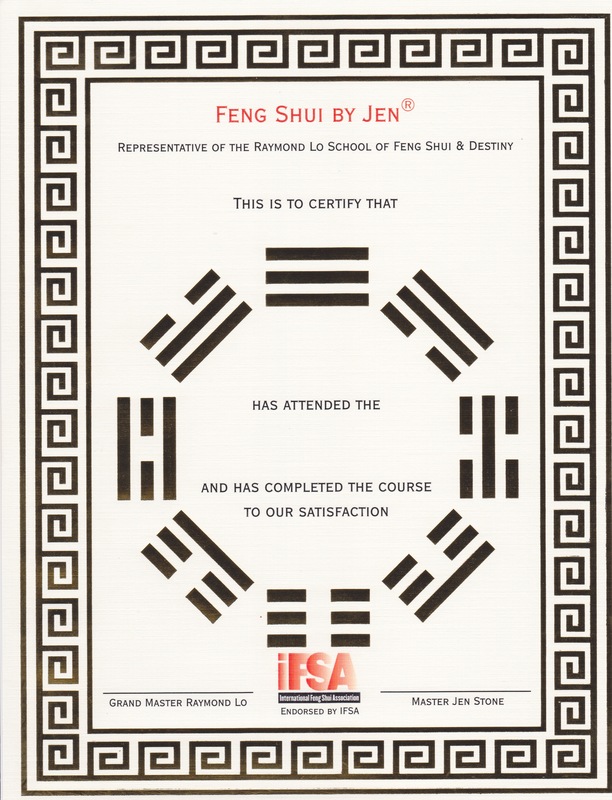 All students are eligible to participate in the Feng Shui Advanced Program for those interested in continuing their studies. 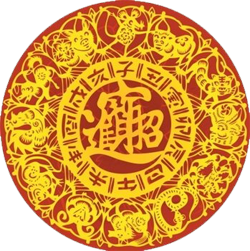 The program is suitable to all levels, including real estate agents, architects, builders, interior designers, Feng Shui enthusiasts, amateur Feng Shui practitioners, anyone new to Classical Feng Shui, and those who are looking for a refresher course aligned with the authentic teachings of Grand Master Raymond Lo. 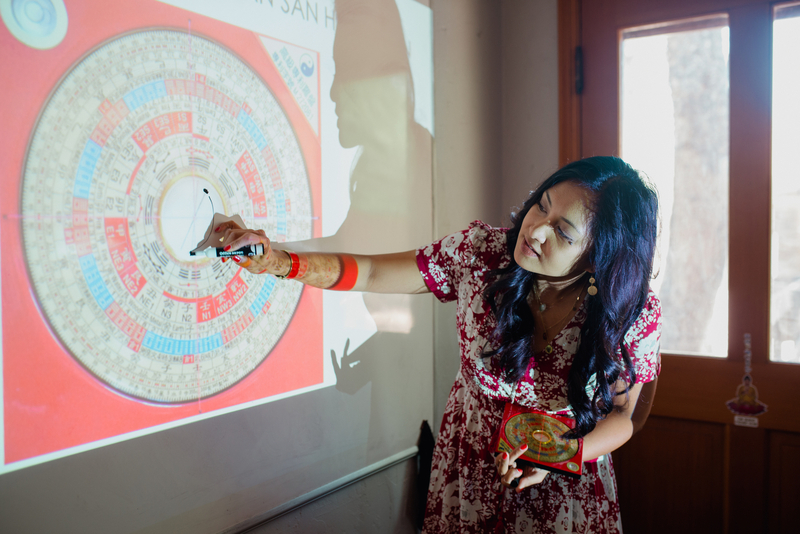 On the last day of class, Jen will lead an actual on-site client evaluation on how to properly perform a traditional Classical Feng Shui assessment. Students are encouraged to own a Luo Pan to participate in the exercise (available for purchase). Jen’s book, The First Guidebook for Feng Shui Enthusiasts, also available on Amazon. No refunds will be issued 14 days before class starts. Students have the option to roll any remitted payments to the next available class. The School will retain 10% of any paid amount if cancellation is received more than 14 days before class starts. 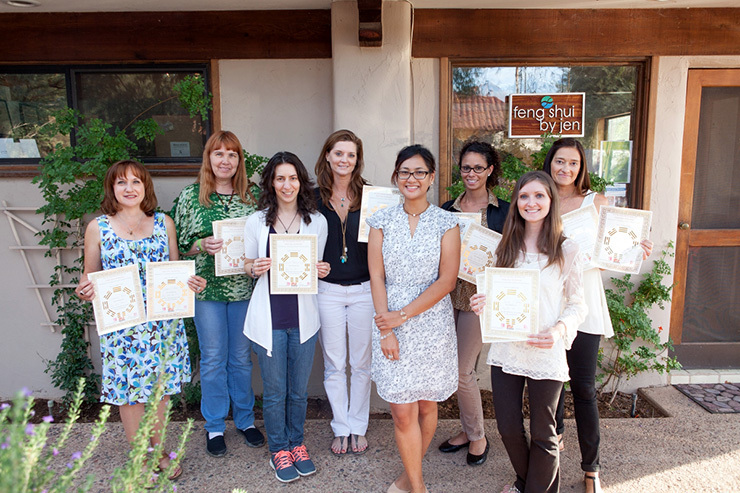 Click here to learn more about your instructor, Master Jen Stone.